I used Grammarly to grammar check this post because my English-teacher-mom gets a little embarrassed at the number of typos that show up in my posts...a dangerous side effect of writing blog posts late at night. 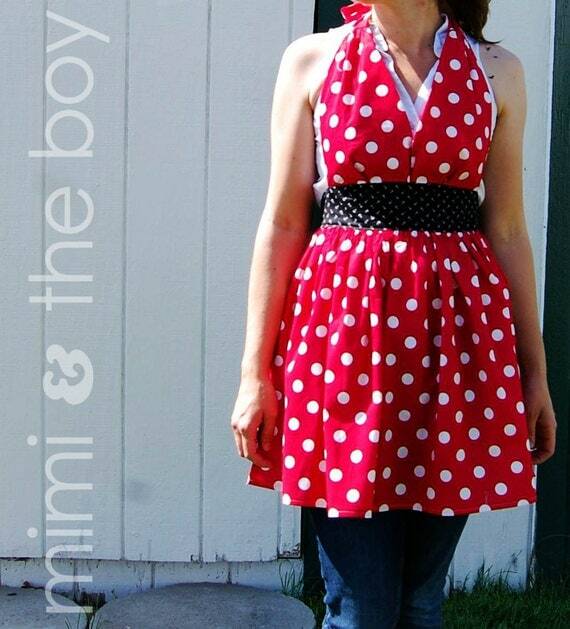 I know we're all looking for fun ways to keep our kids busy and learning this summer. Last year Katie's reading teacher let us know that even though she was at the top of her class in her reading skills, her writing was not at a comparable level. It was okay, but not what you'd expect from such an advanced reader. We're continuing to work on her writing skills, and we've found it's a lot easier to get her to practice when she thinks it's fun and not really practice. I came up with this idea after reading Chester by Melanie Watt. 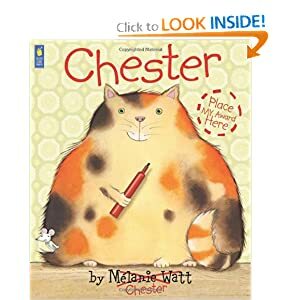 Chester starts out as a story about a mouse, but Chester the Cat wants the story to be about him and keep changing the story and illustrations, so the book keeps taking different directions as the two "authors" add their bits. 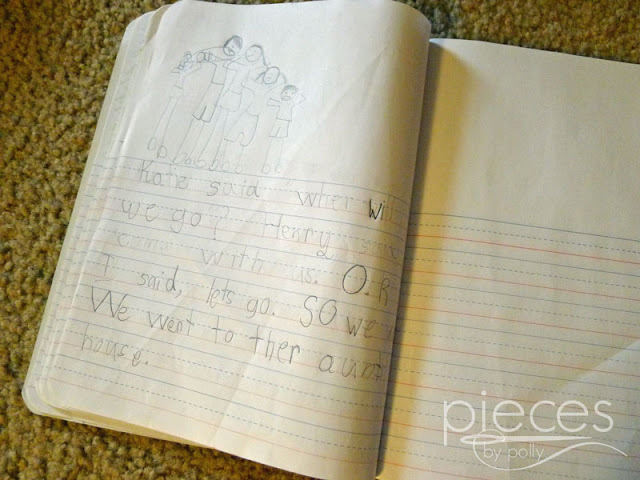 This book isn't quite the same since we don't go back and change each other's pictures, but we each take turns writing a page. 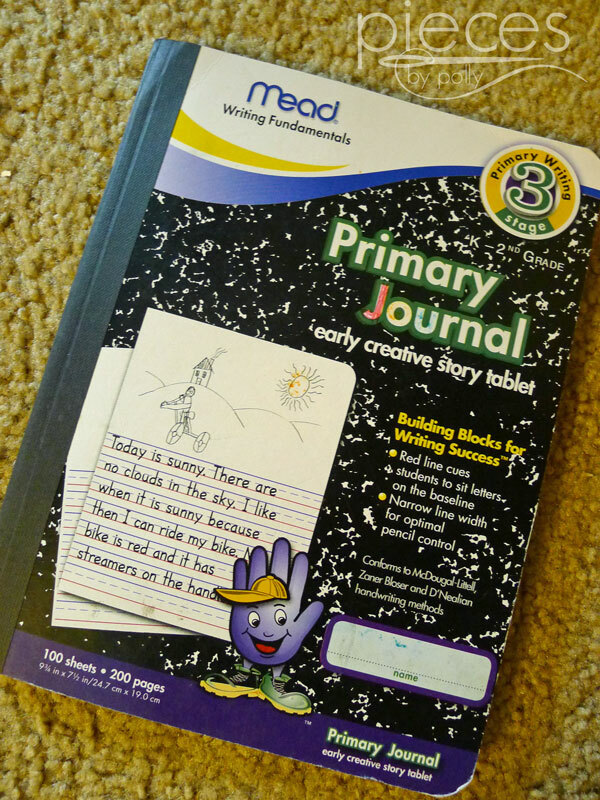 I bought "Primary Journal" because it keeps all the pages together and it has space for illustrating the story as we go along. It was especially well received because Daddy writes in grown-up version of one of these. I bought this one at Wal-Mart, but you can also order them online. I started out the story very similar to the beginning of Chester and let Katie take it from there. 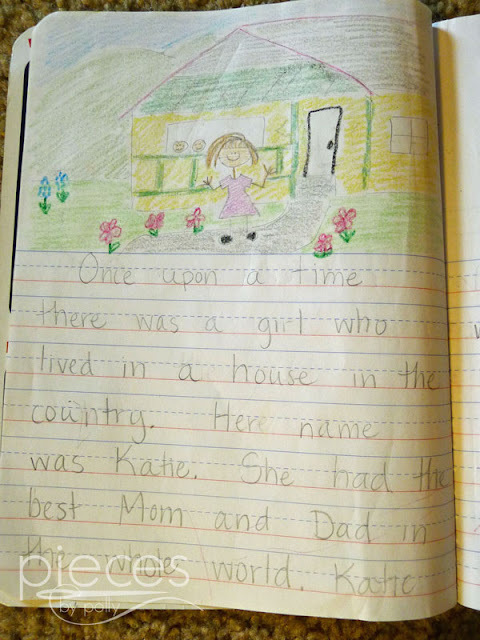 It's been a fun way for Katie to "write a book" and she gets my help in moving the plot along. We've taken breaks of a few months sometimes when we forget about it and then come back to it. It's been fun to see Katie's reading interests change over time. 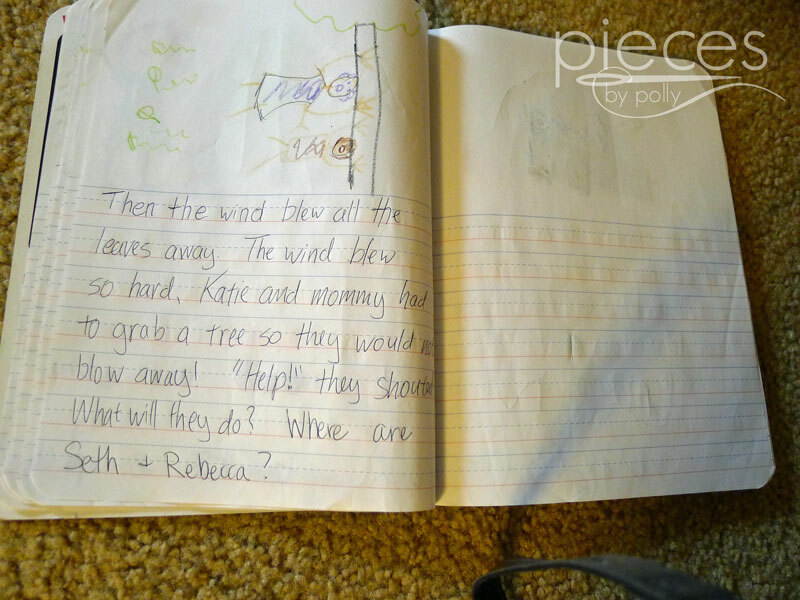 In the beginning she wrote a page that sounded a lot like a Magic Tree House book and one of her more recent entries has an appearance from the Boxcar Children. One thing I wish I'd done was add dates on each page, so we could see her progress over time. 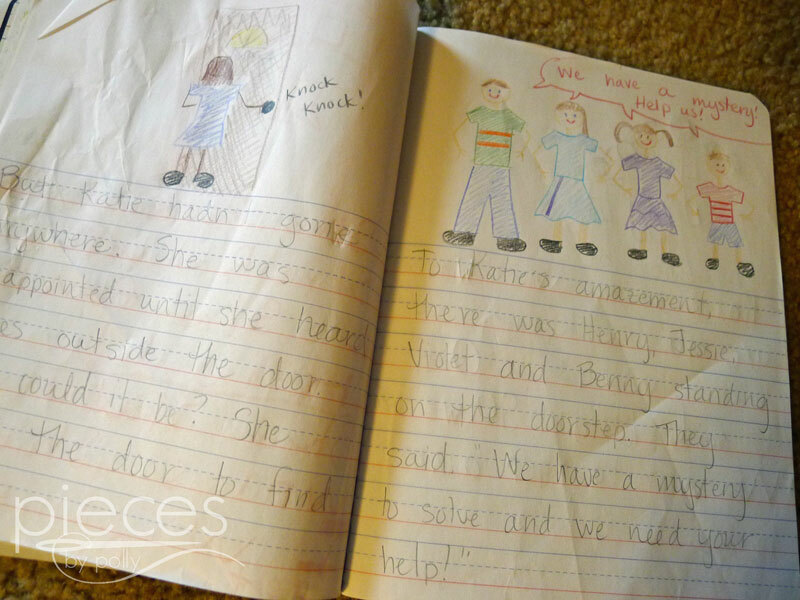 Now that summer vacation has started up we're going to start up our writing practice again. It's my turn to write the next entry...I'm thinking that Harry Potter may turn up and maybe get stuck in a zentangle. We'll see...you never know where the story is going to go when someone else gets a turn to be an author on the next page. That is a great idea. 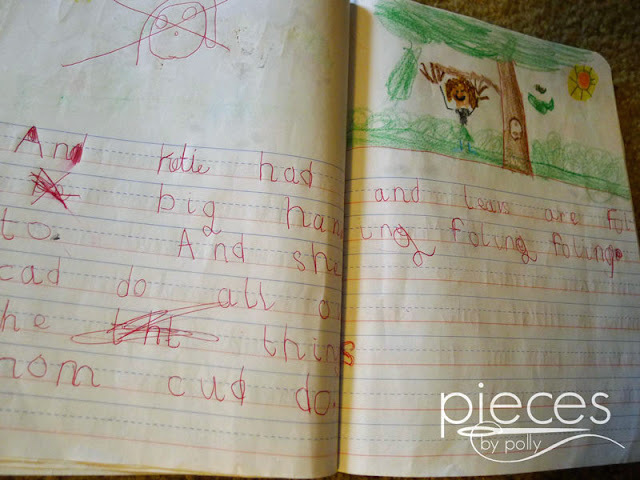 I'm sure your daughter's skills will advance quickly writing with you and her dad! Those journals are so neat and a great way to keep building those writing skills! Thanks for sharing! What an awesome idea. I'd love to read the story some time! How fun! 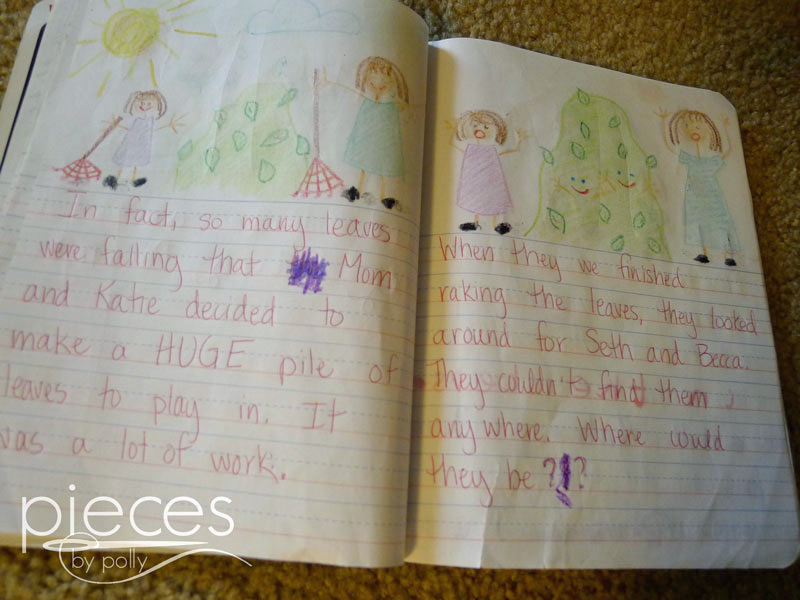 I remember when my mom tried to get us to journal. We would draw the pictures then write a description etc. I always thought that was fun, but this looks better!